Ready or not, spring has sprung and the social season is upon us! Calendars are quickly filling with things like school banquets, Proms and middle school dances, weddings, county fair beauty pageants, charity galas and other formal occasions where we want to put our best foot forward. So much goes into making these events truly memorable (in a good way) from hours of dress shopping, makeup sessions and hair appointments to trial runs and sometimes, even helping out before-hand with the planning and decorating. With all the time, effort and money we spend to ensure that we look our best for those special occasions, we often forget one thing that can be fundamental to our appearance – our spine! While people won’t see your spine like they see your face; if not properly aligned, the negative effects can show up in many ways. Chiropractic can help me LOOK better? There is a lot more to chiropractic than just relieving back and neck pain. You may not realize it, but poor posture can affect your appearance. Not only can it the fit of your clothing, but also may prevent you from conveying a sense of confidence and poise. Chiropractic physicians are experts in proper posture and can help you with tips, exercises and other recommendations so you can look and feel your best whatever the occasion. Consider that formal occasions typically involve posing for photos… lots and lots of photos! Immediately when the photographer starts to click away, we straighten up for the camera and those first pictures look great. If you are not used to it though, after several minutes of holding proper posture, many begin to feel tired and posture begins to suffer. This can also be the case after the photo shoot is over and you’re celebrating your big day. It’s hard work to stand up straight with good posture. By getting a posture check-up, your chiropractor can detect any issues that may be a impacting your posture and develop a plan to help you correct them. This may involve spinal adjustments as well as stretches or exercises to help strengthen your core. 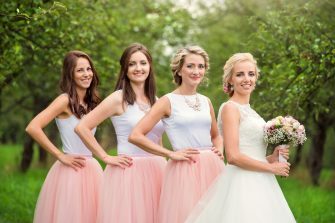 “Building strength and length in the external shoulder rotators prior to your wedding day will not only give you more endurance on the day-of, but you’ll notice the difference in candid shots as well” says Dr. Kellogg. My posture is “good enough,” no one will notice it isn’t perfect. Consequently, when something is wrong inside your body – whether it is digestion, muscle pain or anything else – it often interferes with sleep. Looking your best can be much more difficult if your stomach is upset, your back hurts and you haven’t slept well. What if I’ve never been treated by a chiropractor before? If you do not have a regular chiropractor, you can find a TCA Member doctor near you here. An initial visit with a chiropractic physician will involve reviewing your health history as well as a complete chiropractic physical exam, including orthopedic and neurological tests as needed, and potentially diagnostic imaging. Your chiropractor will explain the findings of the exam and diagnostic testing. Then, the doctor will suggest a plan of action appropriate for your specific condition and goals. This will take into consideration your overall health and any complicating factors. For example, does your job or another activity involve actions that may aggravate the condition and slow progress? Chiropractic care may include spinal manipulation, therapeutic modalities, rehabilitative stretches and postural exercises, as well as a variety of other treatments within their scope of practice. A chiropractor may also refer you to another health care provider, if appropriate. Do you need a spinal makeover? Whether you are a bride-to-be, a pageant contestant, it’s your senior prom or you simply desire to look and feel your best at your next big event, schedule a spinal check-up with your chiropractor. You’ll be a stand-out for all the right reasons and you’ll feel great, too! For more information about how posture affects your health, visit https://www.tnchiro.com/articles/posture/. Pedal Safe and Pedal Happy!